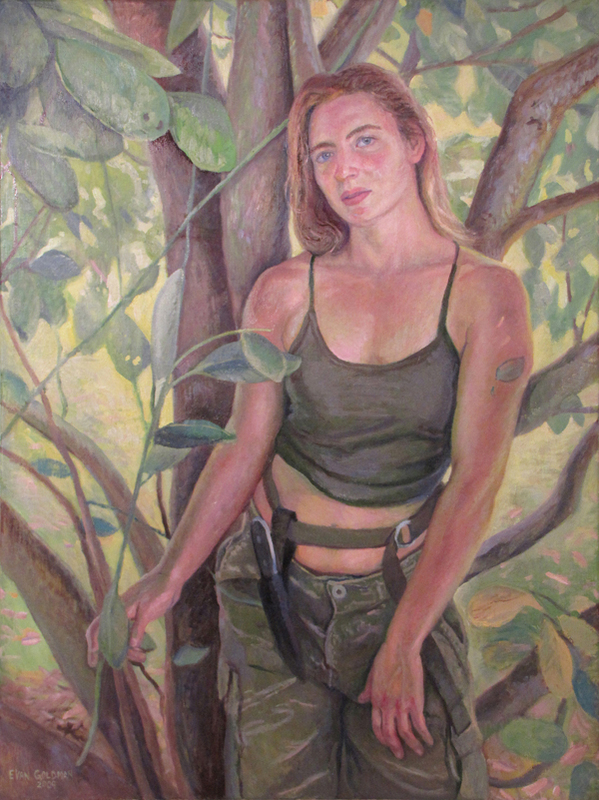 The inspiration for my recent paintings ‘Marie in the Forest’ and ‘Nature Girl’ were my friend, Marie. In addition to being an very talented artist and art model she is also a wilderness survivalist. In these paintings I wanted to express her connection to the forest. My other painting ‘Twins Intwined’ shows my two friends Alison and Marjorie who are identical twins. Their sisterly bond is expressed though their intwined bodies.